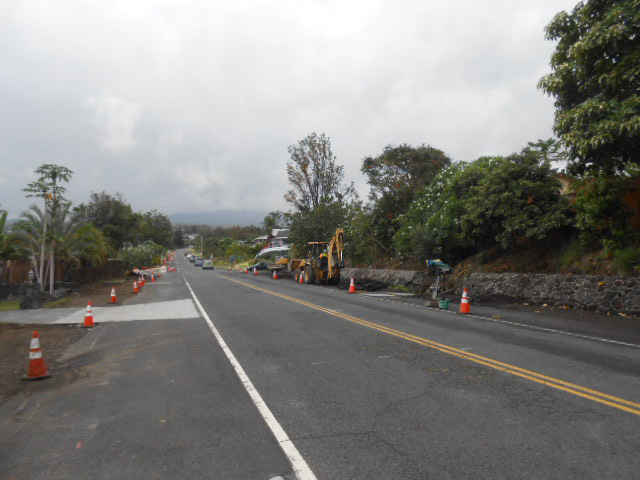 Kaiminani Drive Roadway Improvements – Kona on the Island of Hawaii | | Nan, Inc. 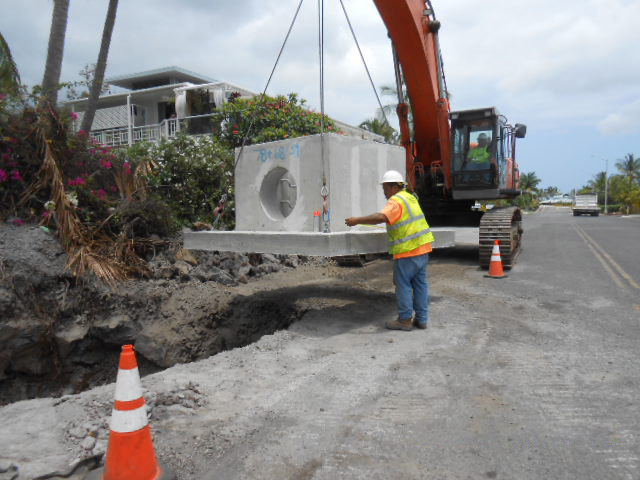 The project basically consists of improving the drainage system, adjusting utility boxes and reconstructing the asphalt pavement along Kaiminani Drive. This project is a continuation of a previous project completed by Jas W. Glover and few years ago. Kaiminani Drive is a very steep residential thoroughfare running Mauka to Makai near Keahole Airport. Prior to these two projects, this major road was very susceptible to erosion problems during heavy rains. Our project will complete the drainage improvements to the end of the residential area. 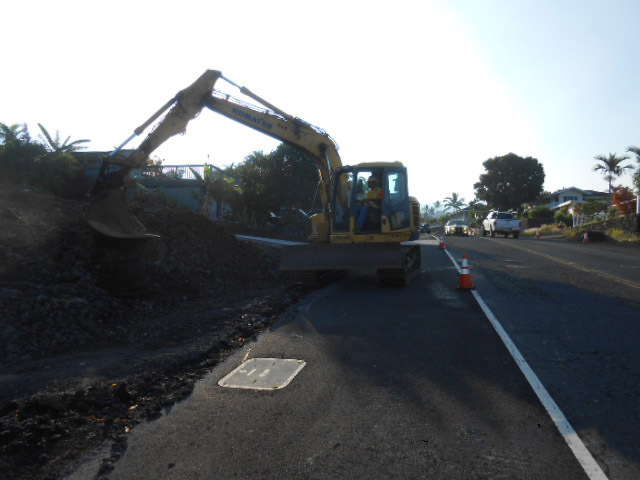 We are near completion of the drainage improvements and shoulder excavation. We will start adjustments of the utility boxes and reconstruction of the residential driveways shortly. This will be followed by reconstruction of the roadway which is anticipated to start in September. The project should be completed by the end of this year. Since this is a major road with multiple residents. The obvious obstacles are traffic control and tying our construction in with the private lots. However, since the lot owners are very familiar with the erosion problems, they have been very cooperative and accommodating. 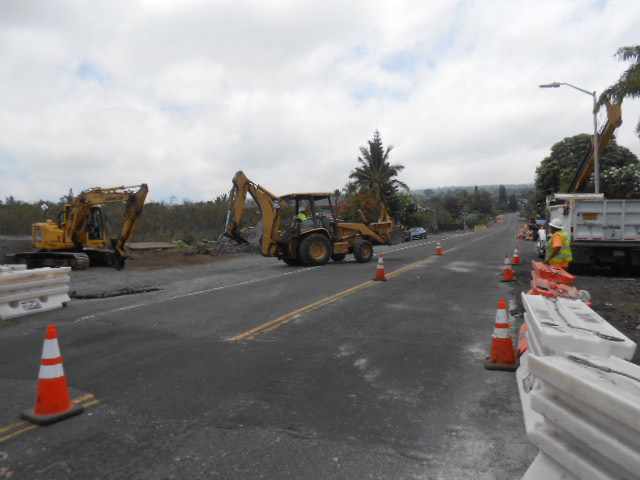 This is also the second large roadway project we are completing for the County of Hawaii and are building a great working relationship with the County engineers and inspectors.